InterContinental Tahiti Resort has long been the island&regs top resort and the perfect place to begin a visit to French Polynesia. On the grounds are the Aquatica Dive Center, Lagoonarium, private beach, two pools, tennis courts and 12 hectares (30 acres) of gardens. 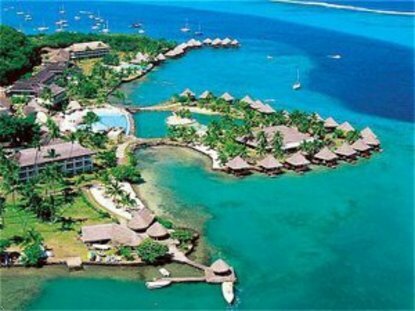 Papeete&regs museums, shops, galleries, market and nightclubs are a short drive away.